Satake knows that for any process to operate efficiently and reliably, all the equipment within the process must be designed and manufactured to the highest standards. 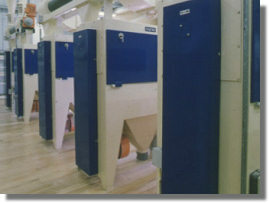 Satake's Bran Finishers, Flake Disrupters and Drum Detachers ensure that mill extraction is maximised. Infestation Destroyers, Water Addition Control Systems and NIR Analysis Systems provide Quality Assurance and Process Control. The Satake In-Line Flake Disrupter SEDB has been developed to provide a more compact plant layout, by performing the flake disrupter process on stock whilst it is being pneumatically conveyed. 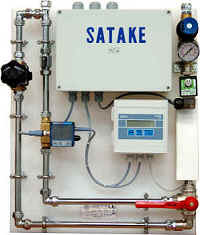 The SWEC Water Panel controls and monitors the flow rate of water using all electronic components. 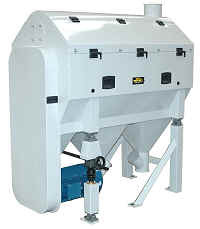 The main use is in the addition of water to wheat and other cereal grains before milling.